I am not sure when I fell in love with the barn door look. It started when we were adding on a home office for my healthy chocolate business. I did not want the standard french doors. I wanted something that would really make the room pop. I am a big fan of Pinterest and had pinned all kinds of ideas for my project. I just adore the look of a shabby cottage style barn door and some amazing hardware. The problem came when I checked out the price for barn door hardware, boy was I in for a shock. Considering I am looking at a 6 foot opening, without 6 foot of wall space to spare, my only option is a bifold door. Can you just guess how much the hardware alone is for the bifold door? More than $1000! And that does not even include the doors. ideas including the youtube video above with two doors. 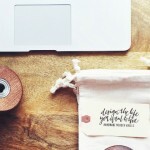 I also found a wonderful blog called “Design The Life You Want To Live” by Lynne Knowlton. She has stunning Amish wooden wheels that make a showpiece of your barn door hardware. She also shares how you can buy the rest of the hardware you need for as little as $25. The Amish wood wheels run $60 a pair which is what you need for one door, but they are absolutely stunning. I have decided I am going to use her wood wheels in my DIY barn door hardware project. The video above even shows you how to make your own door if that is something you want to do. I am going to take standard doors and use Annie Sloan Chalk Paint to get the cottage style look that I want. Is it just me? Am I the only one obsessed with these barn doors? To me it is an amazing look and I just can’t stop thinking about adding them. So if you are looking for a DIY affordable barn door hardware option, here are some great suggestions. If you have found a DIY way to incorporate these stunning amish wood wheels into a bypass barn door hardware system, please please please contact me or message me and let me know. Basically I am looking for an option when you have limited wall space to store the doors when open which gives you the ability to slide one door over another. It would also work great for closets or when you have multiple openings on the same wall. I am sure my hubby thinks I have lost my mind at this point, but I know there is a way to make this work. You really should check out these wheels at Lynne Knowlton’s site, they are stunning! If you have any ideas or photos of how you were able to make your DIY bypass door hardware or a successful DIY barn door project, please share! At this point, it truly is an obsession. I am in search of some amazing barn doors. I am hoping to find two matching old doors. If I can’t Home Depot or Lowes brand new doors will have to do with an aged look. 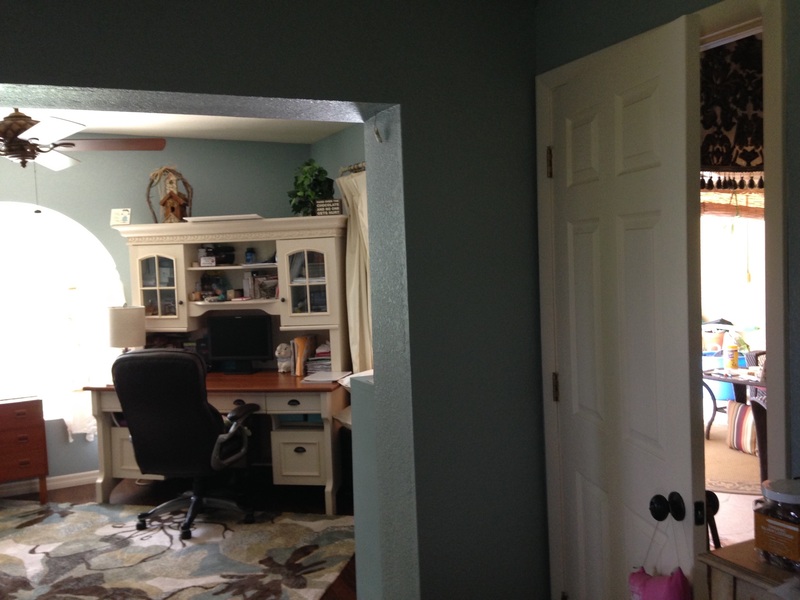 You can get an amazing look on a door with Annie Sloan chalk paints. I already painted one interior door and I love it, so I know that is an option. I am Lynette Henk. Mom of three young men, married for 30 years, obsessed with barn doors and healthy chocolate. Healthy chocolate is also my business. The picture above is of my healthy chocolate office. 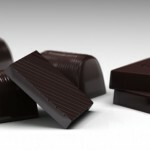 If you are not familiar with healthy chocolate, you simply must check it out. We all know dark chocolate is good for you, the problem is commercial chocolate is cooked and heated at high temperatures which gets rid of many of the antioxidants that make it so healthy in the first place. Beyond Healthy Chocolate, made by the Healthy Chocolate Co. in Reno, Nevada uses a patented cold pressed method that keeps in the antioxidants from the raw cacao. This makes the chocolate the highest antioxidant superfood on the planet, at least the highest I have ever personally seen. I bet you think it must taste bad, right? Wrong. This stuff tastes amazing. It is sweetened with acai and blueberry, has no waxes, filler or GMO. It is even gluten free and diabetic friendly. This is the good stuff. If you want more info, you can get ahold of me at 941-216-5727, email me at [email protected] or visit my business website at GoColdPressed.com. NextAre You Ready For Your Head To Toe Chocolate Makeover In Florida? Thanks for sharing my door track hardware and wheels on your blawg! So awesome!! I have my thinking cap on… hmmm.. idea for two doors..
What if you hinged the doors in a way that as you rolled the door back, it would hinge one door over the other. The other idea could be to hang two tracks and layer one door over the other. I agree! That would likely work! I will look at the pinterest board you mentioned. I love the wheels I purchased for you, they are amazing!